For some, this scenery is very ordinary but for my kids, it's extra ordinary. Exploring the wild is one of my family's favorite thing to do. It gives the kids an oportunity to see things that don't normally see in the city. wouldn't have thought of little bubbles! I can see why your kids would enjoy all the little creatures in that water and undergrowth. Good choice for the letter L.
bubbling streams ... love the sound ... great way to teach kids. I love that you take the children to explore the country and the woods and fields. That is great. I also am so impressed that your precious daughter has her cool blog. I can tell that you all are one busy family who enjoys every minute of each day. The second shot with the water running over the piece of wood is so interesting and nice. 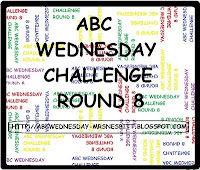 interesting ... i forgot abc wednesday maybe later i will make a post.. Cool photos, and interesting way to do "l". Ah, the beauty of Spring time. Little bubbles everywhere as the water runs over and under everything. Makes me think of a creek we have near us.